Audi Lunar Quattro Aims For The Moon! Home / Automotive / Cars / Audi Lunar Quattro Aims For The Moon! 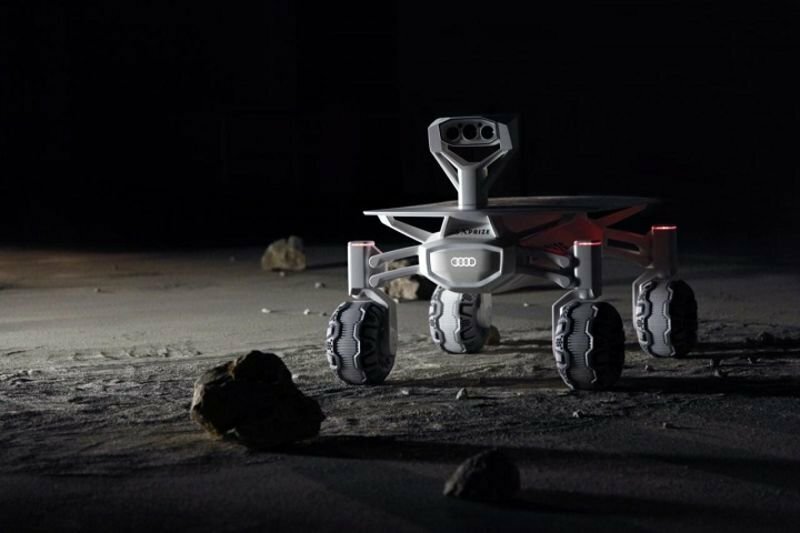 Audi is setting their sites on the moon with the development of the Audi Lunar Quattro. The Lunar Quattro will compete in the Google Lunar Xprize which can only be won by successfully making it to the moon and exploring 1640.4 feet of the lunar surface. It will then have to transmit high definition images back to Earth if the team hopes to win the $30 million prize. The vehicle is made mostly from aluminum and has a lithium-ion battery and an adjustable solar panel. There are also four electric motors that will power the vehicle to 2.2 mph, so it’s not the fastest thing on wheels. The intent of this project is to gather information and examine the moon’s surface through two stereoscopic cameras and a scientific camera. They will collect the images needed to win the Xprize once the Lunar Quattro makes the 236,121-mile trip and lands near the spot once occupied by Apollo 17.